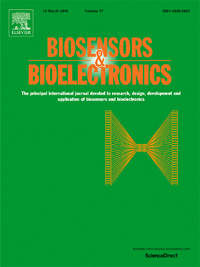 "My guiding principle has been to deliver what you yourself would like to have, as a professional in the field"
The journal Biosensors and Bioelectronics was co-founded by Professor Anthony P.F. Turner and two colleagues in 1985. It was initially simply called Biosensors, but the name was expanded in 1991 to encompass the emerging area of Bioelectronics. They chose Elsevier as a publisher for their journal because of the company’s excellent reputation for precision, high ethical standards and ability to market and protect authors’ work. When they started the journal, there were about 100 papers per year published in the field; last year there were over 5,000. 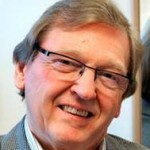 Professor Turner remains Editor-In-Chief of the journal after over 30 years of service. He has worked in the field of Biosensors for over 35 years, 30 of which were spent at Cranfield University in the UK, where he led the team that developed the world’s most successful biosensor to date, the mediated electrochemical home blood glucose monitor for people with diabetes. In 2010, he moved to Sweden to start a new Biosensors and Bioelectronics Centre at Linköping University, the home of Surface Plasmon Resonance biosensing (i.e. the BIAcore), arguably the second most successful device in the field. The journal currently has an Impact Factor (2014) of 6.409 and is the highest ranking research journal in sensors and the broader fields of Electrochemistry and of Analytical Chemistry (ISI). The journal handles around 3,000 submissions per year and has a rejection rate of approximately 75%, publishing 12 issues per year. Biosensors and Bioelectronics has played a pivotal role in defining and establishing the subject. Q. What does being a journal editor mean to you and what do you find most rewarding about this role? A. To me, being an editor is about serving the community and supplying a superior service that might otherwise not be available. Of course, success is hugely satisfying, and I take great pleasure in having grown the journal from its modest beginnings to its current position as the top journal in its niche. Q.What are your biggest challenges as editor of Biosensors & Bioelectronics? How do you overcome these challenges and what extra support can Elsevier provide? A. Being the journal of choice for authors in this rapidly expanding area brings some special challenges. First there is the competition from the other quality journals in the field, which equates to friendly rivalry and spurs both us and them on to innovate and perform better. Less productive, is the plethora of more dubious publications that plagiarise our name and exploit the turmoil created by the switch to open access. Another consequence of success is the persistence of our authors, who are loath to accept rejection and will appeal multiple times. Elsevier could help by paying more careful attention to trade marking and other ways to protect its journal titles and by supporting its editors when faced with unfounded or frivolous challenges. Q. In many areas of research, the growth of paper submissions is outpacing the growth of qualified reviewers and resulting in pressure on the peer-review system. What do you think the solution to this problem is and how do you see the peer-review process changing in the future? A. We fortunately benefit from a long and established track record in an expanding field and wide personal networks, which means that we register a constant stream of highly qualified volunteers and have an a very extensive database. We vet all referees carefully, examining their CVs before registering them, and keep a careful eye on their performance. We do not seek suggestions for referees from authors. Of course, the system is not perfect, but overall the conventional referee system is still holding up for our particular journal. The future for publishing as a whole is less clear as the pay-to-publish model takes hold, with its inevitable unintended consequence of the balance of commercial power shifting from the reader to the author. Q. We have observed that researchers are increasingly accessing journal content online at an article level, i.e. the researcher digests content more frequently on an article basis rather than a journal basis. How do you think this affects the visibility of your journal among authors? A. I personally welcome the faster and wider access and feel that it does our journal no harm. I remain confident that readers note the source of the article as part of their due diligence to check on the quality of what they are reading. The easier they can access precisely what they are looking for, the more likely they are to cite us and that is now the key to our visibility. Attractive complete volumes with fancy covers now just pander to the ego of the authors and provide an additional source of revenue to the publisher, but with a few exceptions, do little to increase visibility. Q. Academic publishing is increasingly embracing open access. How do you see these open access changes in your country? And how do you see them affecting authors who publish in your journal?A. My personal belief is that open access is an unstoppable force unleashed by a well-meaning, but naïve movement. The concept that public funding should lead to public accessibility is admirable, but the consequence is that the market is no longer in the hands of the reader, whose vested interest is in quality, but in the hands of the author, who principally needs to see his or her work published as prolifically as possible. Until the world adjusts to this and establishes a new and, as yet, unknown means of quality control, there is going to be considerable volatility in the system. Q. Researchers need to demonstrate their research impact, and they are increasingly under pressure to publish articles in journals with high Impact Factors. How important is a journal’s Impact Factor to you, and do you see any developments in your community regarding other research quality measurements? A. Metrics are useful numerical indicators that help us follow the impact and progress of our publications and to understand more about the evolution of our subjects. Impact Factor is one very useful parameter, provided its limitations and scope are properly understood. Unfortunately, it is often used out of context and with little appreciation of the differences between fields and timespans covered. Moreover, once it is used and a key parameter in funding decisions or promotion cases, or in the commercialisation of literature, it becomes a target for manipulation. There is some evidence of disillusionment with Impact Factor in our community and experimentation with other metrics. However, we will probably never find the perfect metric or set of metrics, since they will continually be corrupted once adopted. Q. As online publishing techniques develop, the traditional format of the online scientific article will change. At Elsevier, we are experimenting with new online content features and functionality. Which improvements/changes would you, as an editor, find most important? A. For me, the ease with which one can now link to cited papers, background material and other online resources is really powerful and convenient. Also, the ability to automatically edit submission to different formats and the beginning of the free flow of submitted manuscript to alternative journals that may be more suitable, together with their associated referee reports, is a great time saver and helps to conserve a precious pool of referees. Q. Do you use social media or online professional networking in your role as an editor or researcher? Has it helped you and, if so, how? A. I use LinkedIn and Twitter to a limited extent to publicise publishing initiatives and associated conferences. However, finding the time to use social media more widely and productively present a challenge. Online discussion can be hugely time consuming when you have a large audience. Q. How do you see your journal developing over the next 10 years? Do you see major shifts in the use of journals in the future? A. I think the next 10 years will see a paradigm change in scientific publishing that is impossible for me to foresee accurately. Whatever happens, it is going to be very different to the current model. Similarly to many areas in my scientific field, I believe that the ‘old order’ is about to be overturned and new business models will emerge. While the demand for information in my field will undoubtedly be there, I cannot say with confidence that our journal will still exist in its current form. Q. Do you have any tips or tricks to share with your fellow editors about being a journal editor?A. My guiding principle has been to deliver what you yourself would like to have, as a professional in the field. By striving for the ideal publication to meet your own needs, assuming you are a pretty typical user, you automatically add value to your community. It worked for us!